The U.S. Postal Service's Long Life Vehicle is showing its age after nearly 30 years of service. Faced with rising maintenance costs for its aging fleet and needing extra cargo space to satisfy the desires of online shoppers, the U.S. Postal Service is asking automakers to bid on a commercial van that would replace the boxy Long Life Vehicle and become the backbone of the service’s delivery fleet starting in 2018. The agency has scheduled a meeting with potential bidders next week in Washington. It says it will pick vendors this summer to build prototypes, which will undergo tests in 2016 before a contract is awarded in early 2017. It could be one of the largest fleet purchases ever. 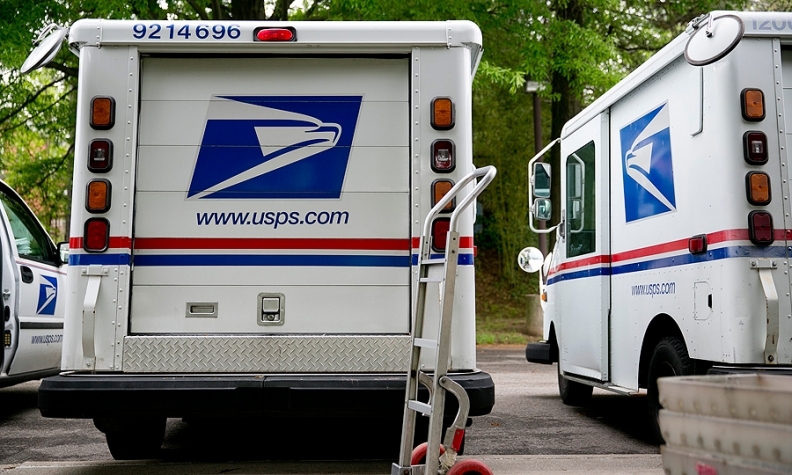 According to specifications released to potential bidders Jan. 20, the Postal Service would buy 180,000 vehicles at $25,000 to $35,000 apiece, valuing the contract at $4.5 billion to $6.3 billion. “I don’t think there is any area of the Postal Service where investment is more needed,” said Brian Renfroe, director of city delivery at the National Association of Letter Carriers union. Selling vehicles to a government fleet is hardly a profit bonanza. Yet the sheer size of the contract could make it unusually desirable to commercial-van manufacturers such as Ford Motor Co., Daimler AG and Fiat Chrysler Automobiles, with their Transit, Sprinter and ProMaster product lines. Such European-style vans proliferated in the U.S. over the past decade as high fuel prices made the poor fuel economy of body-on-frame trucks a liability. The potential for fuel savings may be a key criterion for the Postal Service, whose current fleet consumes as much as 154 million gallons of gasoline annually -- as much as all U.S. oil refiners sell in a week. But a contract with the Postal Service would be equivalent to more than two years of sales for the E series or Express. That number rises to more than four years for a Ford Transit Connect and seven years for a Mercedes-Benz Sprinter. “Anytime you can sell that many units at one time, it’s a tremendous opportunity,” said Mike Jackson, who leads the North American vehicle production forecasting group at IHS Automotive. Detroit’s automakers might seem to have the inside track on the Postal Service contract because of their American roots, political clout and unionized work forces. But putting in a bid won’t be simple. The Postal Service wants a van with right-hand drive, which could make it tougher to satisfy U.S.-content procurement rules. The agency also plans to explore alternative-fuel powertrains to save fuel and wants major modifications to suit mail carriers’ daily routine and durability standards. It can’t be “something you could just purchase off the shelf,” said Jackson, the IHS analyst. The Long Life Vehicle now plying postal routes was built not by a traditional automaker but by aerospace company Grumman Corp., before Grumman was gobbled up by defense giant Northrop. Grumman put a rustproof aluminum frame on a General Motors chassis and powered it with a four-cylinder engine from the Chevrolet compact pickup. The truck’s right-hand-drive configuration allows mail carriers to reach through the window and drop letters into roadside mailboxes, and to step straight onto the curb rather than into traffic. But nearly 30 years of heavy use has revealed design flaws. The Jan. 20 document released by the Postal Service listed a number of problems, including fragile sliding doors and leaky windshields. In real-world driving, the truck often falls short of its fuel economy rating of 16 mpg. According to a 2014 report by the inspector general of the Postal Service, the Long Life Vehicles still in service cost an average of $3,188 to maintain in fiscal 2013, with 9 percent needing more than $6,000 in upkeep.